Two days out of a four days workshop on Artistic Research in collaboration with the professorship of Ruth Benschop. 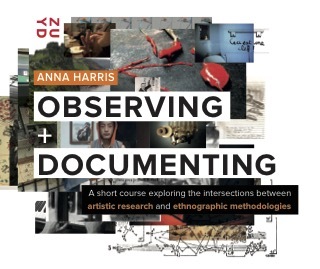 These first two days concentrate on the peculiarities of research and (re)documenting in art creation. Art as a process of creative misunderstanding. Als je een medium zou beschouwen als het territorium van een technologie, hoe kan je dan de kracht van een medium omschrijven? ‘Publieksbereik’ is het klassieke zwaktebod als antwoord in onze mercantiele samenleving. Maar het publieksbereik van een medium is even wispelturig als de aandelenkoers. Wat vandaag helemaal hip is, wordt morgen verguisd. Misschien is de kracht van een medium definieerbaar als haar vermogen om de tijd te vervormen. Het is haar zwaartekrachtveld wat haar potentiële kracht bepaalt. Dit denkspoor kan verrassende inzichten opleveren, o.a. over de verrassende gelijkenissen tussen Internet en een schilderij als medium. Binnen het intermediale onderzoeksproject rond 3D scanning en performance, worden die verschillende media naast mekaar in de race gezet. Het eindresultaat, ‘HADES’ - als onderdeel van het ‘Odysseus’ project, ging met veel succes in première op het ITs Festival 2016 te Amsterdam. The implementation of technology in Stage design. Hochschule für Musik und Theater Leipzig "Felix Mendelssohn Bartholdy"
"The Devil singing with the voice of an Angel. Opera as a place where pneumatics meet virtuality"
"Dancing with the Devil - the bible on marketing performance Arts." een keynote lezing op de Toneelacademie Maastricht, May 20, 2015. Whenever combining media in an art form, it’s good to keep the wisdom of Marshall Mc Luhan in the back of your mind: “The Medium is the Message”. One could see this “message” as a survival strategy of the medium itself, a way of putting itself at the top of the food chain, in the struggle for survival between media. This can become quite problematic when combining media - especially for a fragile - or slow, to put it in the terminologie of Paul Virilio - medium as live performance. The Toneelacademie tries to encourage the use of all kind of contemporary (digital) media at the heart of students creations. Not only because of the playful myriad of artistic possibilities these technological media provide, but also because it can tell us something fundamental about these media themselves. These student creations give testimony to the - overwhelming and underexposed - impact of media in our daily life. Combining a critical attitude with playfulness, we developed an outside-in approach to enhance the media-awareness of our young creators. We invite them to build a performance from brickstones of digital media, without a premeditated idea of the content. Staring from some kind of a ‘Rorschach-assignment’ - a meaningless phrase -, they create weekly new performances. Along the principles of the creative misunderstanding, these results will be influenced by the mind of the creators and by the media they used. Carefully discussing the layers of meaning in the resulting performance, will expose the strategies of the medium itself. The students acquire during these 8 weeks of creations and feedback, an enhanced sensitivity (and suspicion) for the workings of the medium itself. How to defend the fragility of a live performance against the overpowering speed of the used media? In short: how to dance with the Devil? We had a very succefull international workshop week as part of the ARC Sceno project 'The Object of(f) Stage' - a collaboration between the performance department of Toneelacademie Maastricht and the stage design departments of UDK Berlin, La Cambre (Bruxelles) and Pallais Bosio (Monaco). We've been investigating the growing influence of media, projection and virtualisation in contemporary stage performance. Aren't we inviting the devil inside, and if so, how to dance with the devil? How to design surfaces and object which main purpose is to disappear in the projections on them? How to treat and design these 'Invisible Objects'? And how to preserve the unique qualities of a live performance in a mediatised environment? What are the implications of using new technologies (projections, virtualisation of characters etc...) in the context of a performance or theatre piece. Is a projected pig a harmless alternative for the real stuff? How can technology become (willingly or not) become the driving force for our art? And where are we driving to? "Corps parlant, corps vivant. 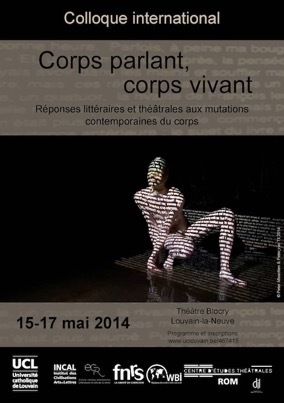 Réponses littéraires et théâtrales aux mutations contemporaines du corps"
How are we portraying this in an exceptionally 'LIVE' art as performance? How can we show this tendency to an addiction for 'virtuality' on stage? How to stage 'absence'?